In April, Russia invaded Crimea. Behind a smokescreen of propaganda, Putin made it out like he was liberating Crimea’s Russians from a proto-fascist regime in Kiev that was bent on butchering its opponents in the aftermath of its most recent revolution. Western powers struggled to figure out a response; most of them hoped beyond hope that Putin’s demands were somehow reasonable, and that with Crimea, he would stop. Last week, Russian forces invaded Ukraine proper to save the anti-Kiev insurrection from defeat. And if that doesn’t freak you out, it should. The last time a European power was able to invade another country in order to take over its territory was 1945, when the Soviet Union gobbled up large swathes of Poland, Germany, and Romania during the final burning of the Third Reich. 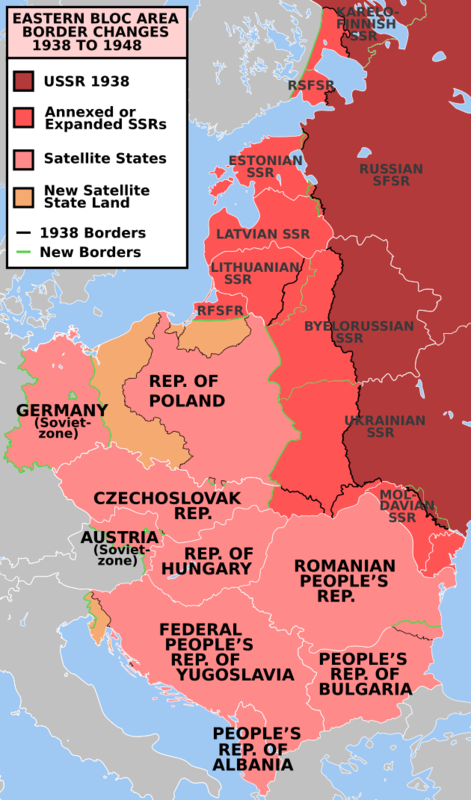 While the Soviets did invade Hungary in 1956 and Czechoslovakia in 1968, neither action was meant to expand the territory of the Soviet Union. Territorial expansionism seemed a dead letter; only in the mad Third World did states try to grab bits of one another’s territory. Nuclear weapons, it seemed, made such moves incredibly dangerous. The last time someone got bigger. Only in Germany did a state grow. That was solely because Germans themselves always saw the separation as artificial and imposed; when that imposition ended, so too did the division. But then Putin invaded Crimea in April. And he got away with it. The nuclear club can now assume that they may attack and grow into the territory of other states that are 1). Not nuclear armed and 2). Not allied with nuclear armed states. Three of the nuclear powers have no interest in territorial expansion – Britain and France because they could never get away with it and the United States because expanding overseas would be expensive and fruitless. As for India, Pakistan, North Korea, Russia, and China – well, therein lies a great deal of danger. Why not settle a few scores while this uncertainty is the new rule? For states like Vietnam, facing down China over the South Seas, or Kazakhstan, which has many, many Russians within its borders, bad times are ahead. The U.S. will not protect either from nuclear bullying or even invasion. As for minorities within Russia and China, forget it – they will remain under their overlords’ thumbs for the foreseeable future. Tibet will remain occupied; Chechnya will have its paramilitaries. It may have to be another generation that sorts those places. Interstate conflict is likelier than at any time since the Cold War. Should Thailand and Cambodia fall into all-out war, as they nearly have in the past few years, both governments can assume they’ll be overlooked. There are bigger problems in the world now. The red dot indicates a border or territorial dispute. Get ready for this map to get interesting. With the U.S. now having fallen into a mini-Cold War with Russia, small proxy wars will become the way to try to weaken Moscow. Ukraine is the most obvious place, but so too is Syria, where Russia’s last Middle Eastern ally has clung to power thanks to Russian arms, tanks, and helicopters. Afghanistan could well go that way, too, with Russian factions facing down American ones. Moscow can’t afford the same level of conflict as the Cold War; it’s simply not strong enough for the time being. Equally, however, Mutually Assured Destruction is still a well-understood principal. To weaken the Americans, the Russians must fight sideways. Conventional wisdom holds that democracies don’t fight one another. The assumption is that no body of people much like war and the accompanying sacrifices. But the polls coming from Moscow indicate that Putin is being vastly rewarded by his electorate. Putin has cleverly kept the war in Ukraine just small enough to avoid a backlash among the public while still appearing to be strong. This is a delicate balancing act, one that he’s managed with great skill thus far. But a military defeat, or a revamped Ukraine army capable of slowing or bogging down the Russians, could cause his poll numbers to bleed. Russian democracy has been weakened by Putin, but not killed as of yet. There’s still a chance Russians themselves could turn on their president and save the world a lot of trouble. Dangerously, however, the opposite holds true too. Democracy should not be equated with pacifism; witness American military prowess. If ordinary Russians revert to a Soviet mindset of nationalism and conspiracy, they could give Putin the political power to wage war without limit. Worse, should they be so foolish as to think Putin is somehow a philosopher-king, they could give him the keys to subjugate them to dictatorship. Then public opinion would hardly matter. Russia’s population is just a little under half of it what the USSR’s was (143 million Russians vs. 293 Soviets). It has lost Ukraine’s industrial base, the Baltic republics’ access to the sea, and the gas, oil, and agricultural wealth of Central Asia. 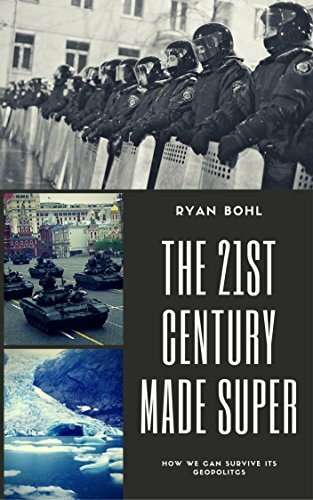 Reconquering Ukraine would be a major boon to Russia, but this isn’t the 18th century, and foreign powers are watching. Should a proxy war emerge in Ukraine (as seems likely), Russia will be on the back foot against NATO, which has, if anything, grown stronger since 1991. American troops and officers have fought two grueling, long wars over the past decade, and defense spending has kept apace with defense needs. If the U.S. arms and supplies Ukraine, it could build a relatively formidable army. And if that army fails, it could still supply a dangerous insurgency that could do to Putin what Afghanistan did to the Soviets. Still on top and keeping that lead for the next decade. For those who aren’t in the know, that’s how the Bulletin of Atomic Scientists measures the time until doomsday. They may have seemed irrelevant for about twenty or so years there, but the fact that Putin has reminded us all how he could end the world if he felt like it is not to be taken likely. Miscalculation could start a general war; so too could a ratcheting up of tension to the point where decisions that once seemed crazy might seem kind of good. It’s a new world. And it’s not good. Who would have ever thought we’d miss the quiet 90s this much. 25,000 Russian troops were allowed to be based in Crimea per the agreement between Russia and Ukraine. So the term invade Crimea must refer to the referendum that 96% of the people voted for (returning to Russia) and spared the brutal assaults from the Ukr army. Its interesting to note that this so called “invasion” was done without a shot fired and over 75% of Ukraine troops opted to stay. You are right that the troops were there per agreement and that the referendum did reportedly give a high “yes” vote. What many states took issue with is the speed that it happened, calling into question the legitimacy of the referendum, as well as the presence of Russian troops at the ballot sites. There was an argument to be made to return Crimea to Russia; had Russia followed the UK’s model with its upcoming Scottish referendum, it would be less in question. Instead, what happened was a referendum so swift no organized debate could take place, no time was given to the new Kiev government to put together some kind of compromise, and with no input from the international community, including the UN. It’s probable that Crimeans would have voted to rejoin Russia if it had been done properly, but it wasn’t. That is cause for serious concern. “Invasion” still qualifies since Russian troops broke their agreement to move into positions not allowed by treaty outside of their bases, including surrounding Ukrainian state installations. “the new Kiev government ” was without question illegitimate having been installed at the barrel of a gun who’s first official act was to ban the Russian language. ”What many states took issue with is the speed that it happened, calling into question the legitimacy of the referendum, as well as the presence of Russian troops at the ballot sites. There was an argument to be made to return Crimea to Russia; had Russia followed the UK’s model with its upcoming Scottish referendum, it would be less in question”. I’m afraid you’re thinking that geopolitics has some sort of moral compass we all live by: it doesn’t. Crimea was alarming, and Chagos was not, because Crimea’s rapid military annexation broke the post-World War II order in Europe. That order was clear: land could not be taken, or lost, through military conquest. Had Russia held the referendum as the U.K. did with Scotland – over a long time and without military forces present – there would be been much less issue, because doing so would have been well within the post-war framework of Europe. Instead, Russian forces rolled in and a vote was held so stunningly fast that it could not be characterized by anything other than military conquest. Conquest in Europe by anyone, with its Russian and American nuclear arsenals, is beyond dangerous for everyone.